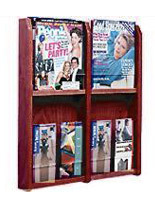 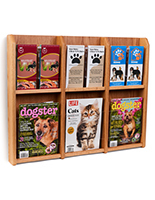 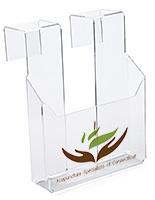 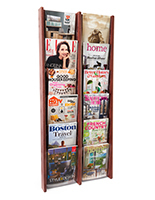 30"w x 24"h x 3"d, solid oak frames with acrylic front, holds 6 magazines or 12 brochures with the use of the plastic clip-on divider. 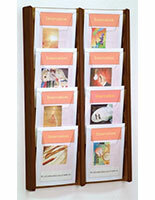 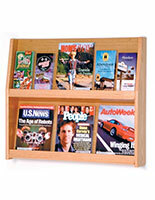 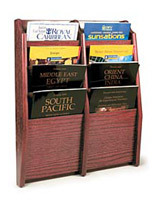 (6 included) Works great as an office reading material organizer or a tract rack in a church lobby. 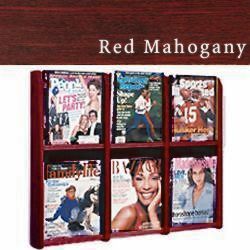 No matter where you display your literature, you can rest assured that it is orderly and professional looking with this wall hanging display.